For Studio Plans, we will offer your favorite digital image (one) to you by email. ※ Please show this screen to us at the studio or mention it when you make a reservation, thank you! WHY you should choose Kimono Photo Studio WA. We are always looking forward to seeing you! Holiday Our studio will be closed from Dec 30th, 2018 until 6th, 2019 for New Year Holiday. Please have a happy new year, thank you. Media　KIMONO PHOTO STUDIO WA is in "Hiragana Times” magazine! This magazine had launched in 1986 and are now subscribed by people from more than 100 countries. Our studio is on “STUDIO NOW” magazine, which is read by professional photographers. Now our studio is on “Tokyo Weekender” magazine, which is the oldest English magazine in Japan. (Amazing Japan! 155 things loved by all over the world)”published by Takarajima-sha, which publishes famous fashion magazines. The kimono is famous worldwide as a national costume in Japan and many tourists who visit Japan would like to try on a kimono or purchase one. 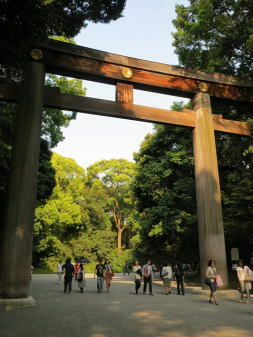 However, a genuine kimono is very expensive. Besides, the maintenance is difficult and the dressing skill is needed. Kimono Photo Studio WA offers a portrait sitting with luxury kimonos at a reasonable price. All of our authentic Japanese kimonos are hand-selected by professional kimono makers and weaved from genuine silk. We made them easy to dress in so that our customers do not get tired and can enjoy Japanese culture during the photo session. The style of our kimonos is called "Uchikake", which was the popular style worn by aristocratic women living in castles during the feudal era. Even Japanese women do not wear this style of kimono often. 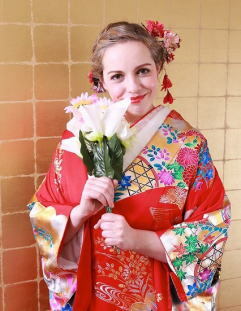 Please enjoy kimono photo shooting and have a peaceful time at Kimono Photo Studio WA!